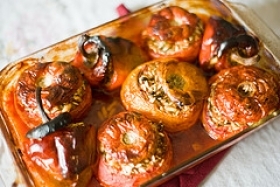 Have you made Baked Tomatoes with Egg? 1. 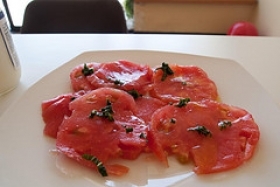 Preheat oven to 400 F Using a sharp knife, cut 1/2 inch off the stem end of each tomato. 2. 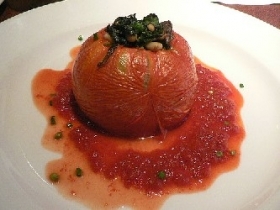 Discard top end and scoop out pulp from tomato, leaving a thick shell. 3. 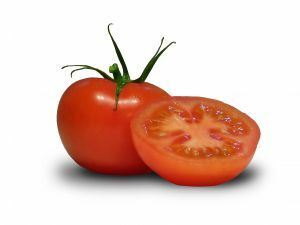 Sprinkle inside of tomatoes with salt. Invert on a rack to drain 15 minutes. 4. Whisk together next 4 ingredients with salt and pepper to taste in a bowl. 5. 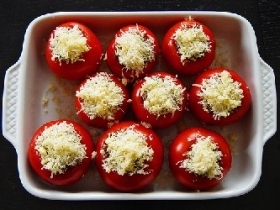 Arrange tomatoes in a shallow baking pan. Place in oven and bake 5 minutes. 6. Pour 1 Tbs. 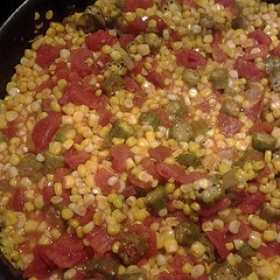 melted butter in each tomato. 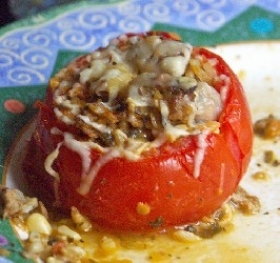 Fill tomato cavities with egg mixture. 7. Top with strips of cheese and bake about 10 minutes or until eggs are just set. This recipe is high in Vitamin A with 34% of your daily recommended intake per serving. This recipe is high in Vitamin C with 51% of your daily recommended intake per serving. This recipe contains potential food allergens and will effect people with Egg, Butter, Tomato, Cheese, Spring Onion, Mustard allergies.